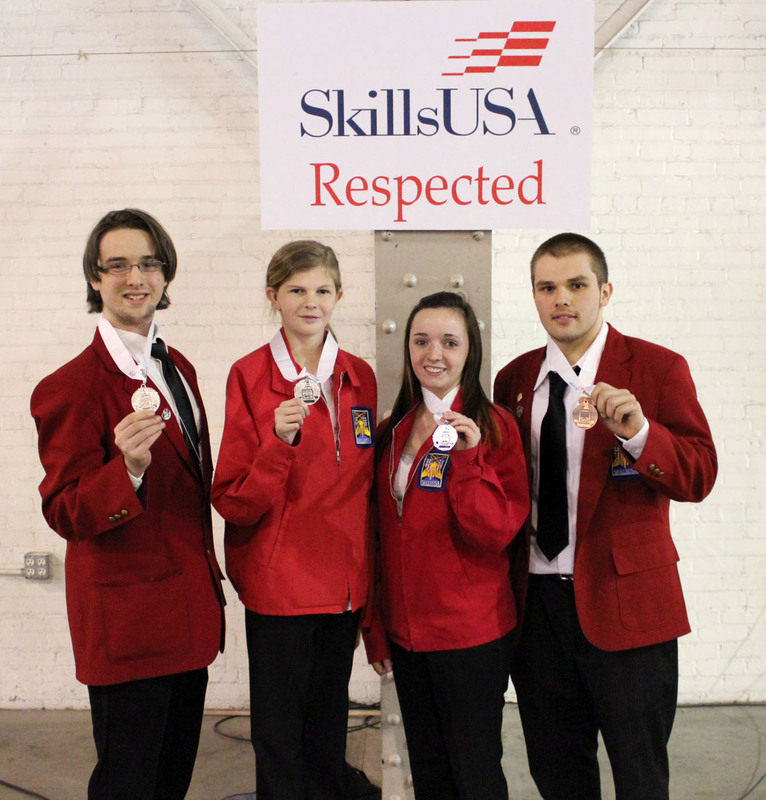 Career and Technical Education students from Oswego County BOCES (OCB) joined well over 2,000 students from other BOCES, technical career centers and high schools for the 46th Annual New York State Leadership and SkillsUSA Championships. 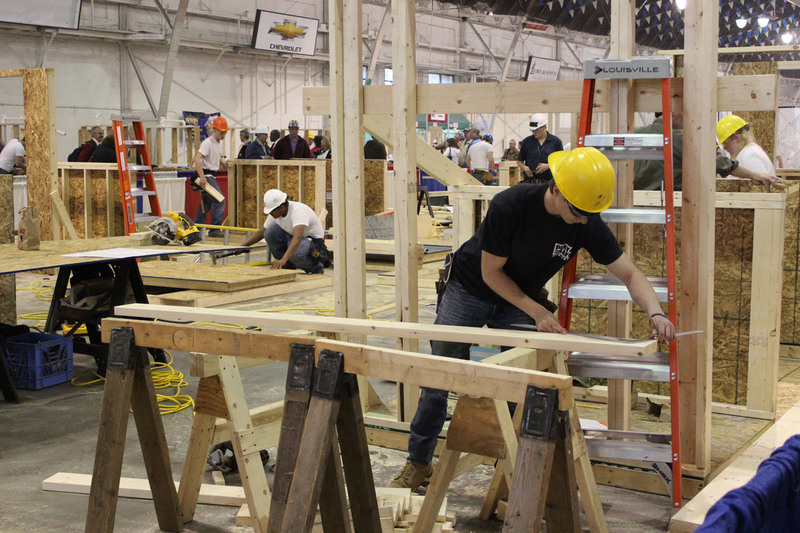 The conference was held at the New York State Fairgrounds in Syracuse in late April and gave OCB students an opportunity to showcase their skills in a variety of technical, trade and leadership contests. 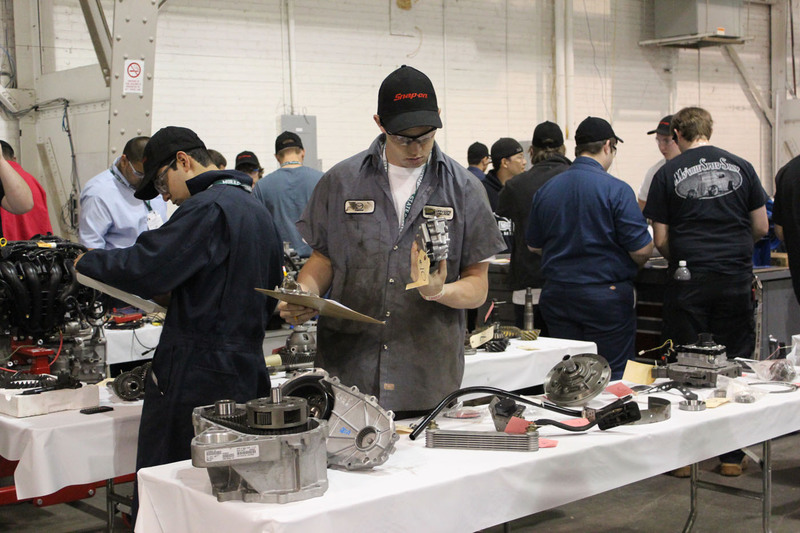 Business and industry professionals judged the over 70 contests that took place at the conference and OCB students where recognized for outstanding achievement in four different contest areas. Floral Design and Greenhouse Technology student Debra Joy, from the Sandy Creek Central School District, was awarded a silver medal in the Floral Design contest. For this timed contest Debra prepared a floral centerpiece, a corsage, and a wedding design and then calculated a cost and suggested retail business report for each design. 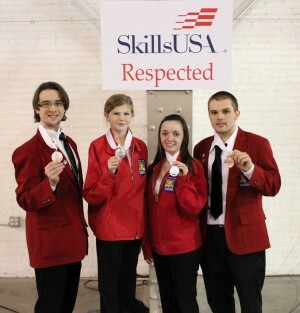 Digital Media Technology student Joseph Polly from the Fulton City School District was awarded a silver medal in the Technical Computer Applications contest. For this contest Joseph completed several tasks that demonstrated his knowledge and expertise in the installation and configuration of computer operating systems and applications. Also awarded a second place, silver medal was Floral Design and Greenhouse Technology student Melissa Perry from the Central Square Central School District. Melissa competed in the Job Skills Demonstration Open contest where she demonstrated and explained an entry-level skill for an occupation of her choice. The fourth OCB student recognized for outstanding achievement at the statewide competition was Computer Systems and Networking-CISCO student Angel Torres from the Fulton City School District. Angel competed in the Internetworking contest and was awarded a bronze medal for his knowledge of networking design and functionality as well as internetworking concepts.